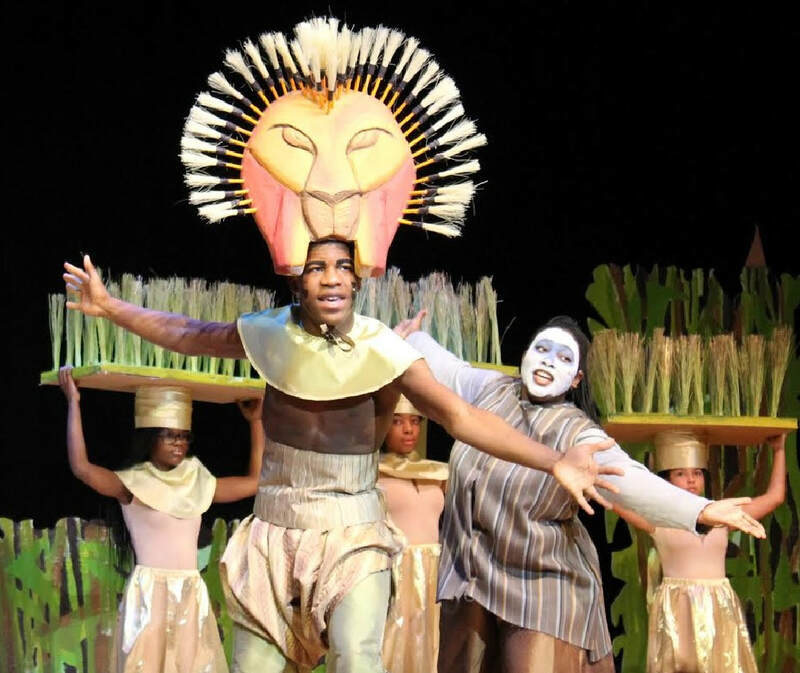 Arts Magnet Program’s “Lion King Jr.” Roars! Mount Vernon’s Arts Magnet Program outdid itself again as it took on Broadway’s highest grossing musical ever. 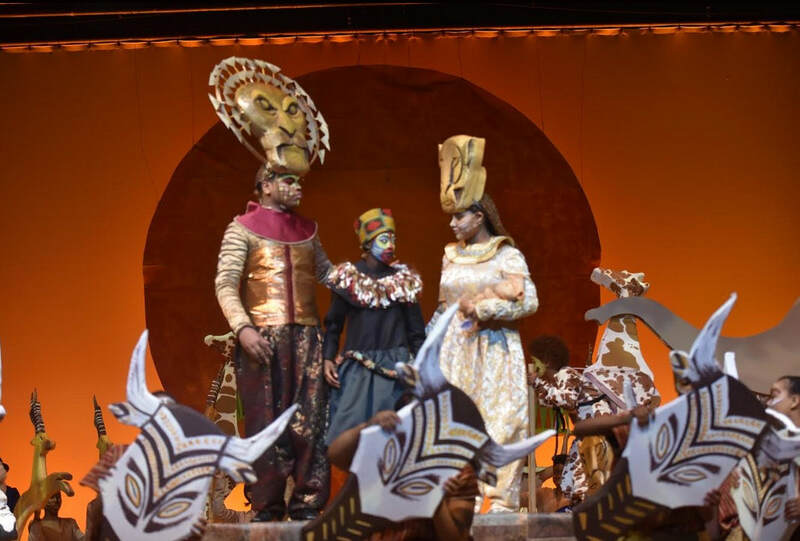 “The Lion King Jr.”, an adaptation of Disney’s “The Lion King”, roared onto the stage at Mount Vernon High School the weekend of January 26th-28th, complete with lions, giraffes, leopards, antelope, and even an elephant. From Rafiki’s opening Zulu chant in “Circle of Life”, and the accompanying grand procession of performers that paraded through the aisles to ascend the stage, the audience oohed and aahed in wonder. The elaborate costumes, headdresses and make-up, evocative scenery, effective lighting, and familiar soundtrack performed by impressive singers and musicians, magically transported both young and old to the Pride Lands. Through song and dance, audiences watched as the play’s characters battled between darkness and light; struggled for purpose and direction; discovered courage and humility; found their place in life; and learned the meaning of leadership and sacrifice. The Performing and Visual Arts Magnet School was awarded a national grant to produce the show using the strengths and skill level of middle-school students. One of the special touches of the production was seeing members of the newly-formed All City Orchestra and All City Chorus perform alongside professional singers and musicians throughout the performance. Performing arts high-school students also employed their skills to support their middle-school counterparts. The intergenerational nature of Mount Vernon’s approach to teaching and sharing the arts seems to be a core strength of the district’s arts program. For those that are disappointed because they missed Mount Vernon’s latest Broadway tribute, hakuna matata (no worries). 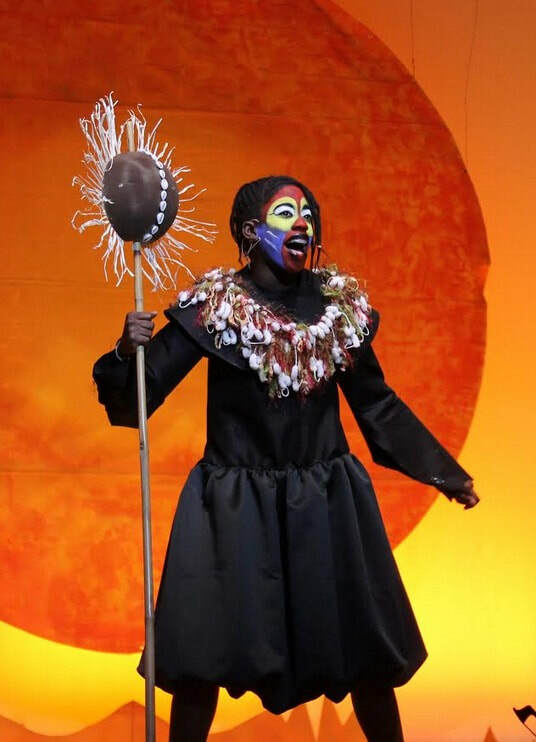 The Lion King Jr. is scheduled to roar back onto the stage at Mount Vernon High School over the weekend of March 2 – 4 for a series of encore performances. Shows will take place on March 2nd at 6pm, March 3 at 2pm and 6pm, and March 4 at 3pm for the unbeatable price of $10 a ticket. Tickets are available online through www.brownpapertickets.com (event 3340042) or at Mount Vernon High School beginning an hour before each show. “This show was incredible! I’ve seen the Lion King on Broadway many times, and I was blown away by our kids! I already bought tickets to all of the encore performances, and I can’t wait to see this show again,” said Lion King super fan Joyce Ayers.